It’s been a month since we left Kenya. Although we were only there 10 days, I miss Africa every single day. 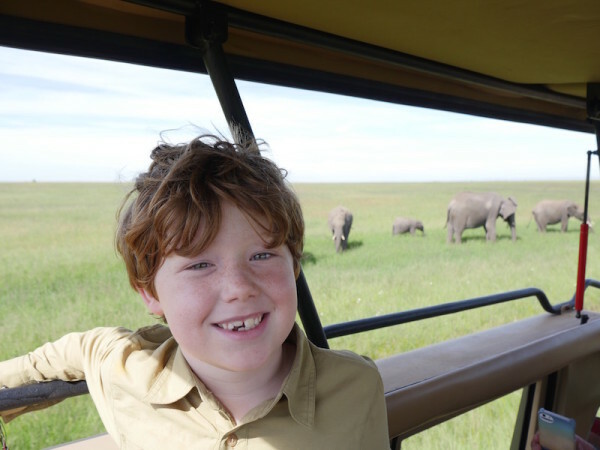 I sat down to write this piece not only to share with you what my kids learned in Kenya but to keep it as a reminder to myself of how beneficial travel can be for children. 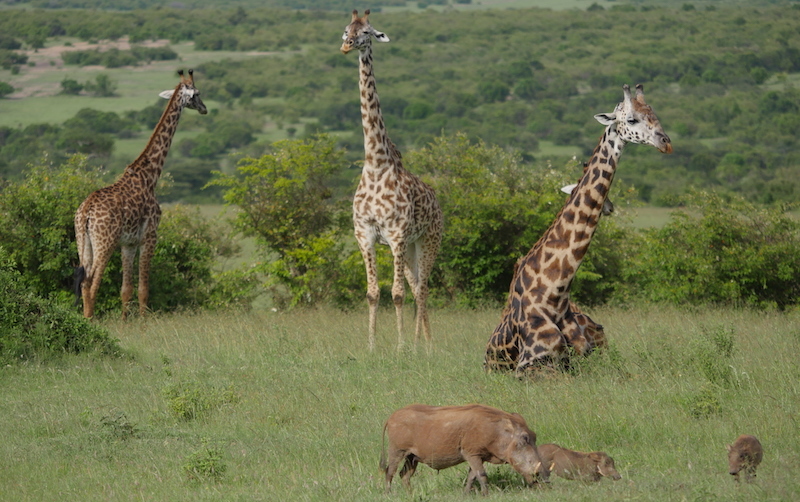 We traveled through Kenya with Intrepid Travel on their Kenya Family Safari. 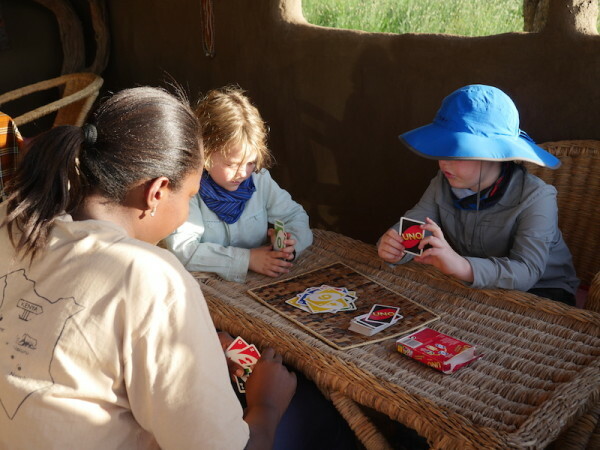 When I booked the trip, I wanted to do all the Africa things like see the Big Five and touch the Masai Mara but I also wanted to show my kids how other children were living. I was tired of them constantly asking for more things and not really realizing the value of money. I was also tired of rambling on about kids in Africa not having food when they wouldn’t eat the meals I was serving. In all honesty, I had no idea if or how this trip would impact my kids once we returned home but I had dreamt of Africa since I was child and I figured now was as good a time as any to go. I just hoped they were old enough to benefit from the trip. The tours we looked at mainly required children to be at least 5 but as we read the reviews and spoke to people who had visited some of the same locations in Kenya, most said we should wait until Charlie was at least 8. I chose not to wait. I figured if something was to happen we were together and trusted that my kids were ready for this kind of adventure. Having heard all about the culture shock from other people, I really expected our first few days in Africa to be a time of adjustment. I prepped my kids for the extra security I expected in Nairobi and stressed myself out about whether or not they could behave in the customs and immigration lines. When we arrived in Nairobi, me and the kids quickly realized how much I had over prepared them. Smiling faces welcomed them to Kenya and kids who were crying or tired were ushered to the front of the lines. Mine stood quietly waiting their turns as I considered pinching Charlie a few times so we could skip ahead too and start our adventure. Besides the presence of some security guards at the airport with guns that were not much bigger than what the kids had seen elsewhere, there was very little that seemed all that different from other airports we had traveled through. As we moved to our hotel, which again I had probably over prepped them for, we were welcomed by a smiling guard who quickly looked under our car with a mirror and then let us pass through the gates. The kids didn’t even notice and the whole process took the same amount of time as passing through the security gates at a hotel at places like Disney. All my anxieties about visiting Kenya were gone within a hour of touching its red soil. Then, the magic began. I noticed Will immediately took a shine to Africa. At 7, he is a bright young kid who loves to explore new places. He never seemed nervous or afraid and instead was constantly looking around taking in his new surroundings. The first night of our tour, Will, a dedicated non-meat eater (and hardly-anything-else eater) decided he would try something new. As he took one small bite of chicken at an Indian restaurant, he changed his mind and immediately settled in with a bowl of white rice. Of course, I didn’t want to be the cliché mom who actually tells her kid that there are kids starving in Africa while in Africa so I just kept my mouth shut not knowing what would really happen next. Nairobi for my kids was exciting. They loved the Elephant Sanctuary and seeing the city. We drove by Kibera, the largest slum in Kenya and one of the largest in the world and tried to explain it to them but neither kid seemed to really conceptually get it. That changed as we left the city. Once we arrived in the countryside, things started to hit home a little more for Will and Charlie. I believe the change was that now we were seeing kids their own age with greater responsibilities than they had ever known. Neither of my kids was allowed electronics as we instead encouraged them to really take in Africa. 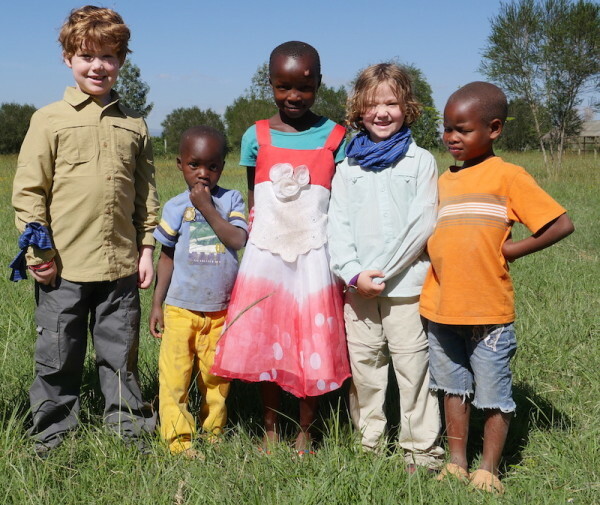 Immediately, Will and Charlie began to notice kids (who were on summer break) working in the fields and realizing things were very different in Kenya. The second day in Kenya brought the opportunity to visit a local village with our guide from Intrepid Travel. Local kids ran towards Will and Charlie grabbing their hands and leading them towards different parts of the village. We wrangled all the kids back together and headed for a local home. Here, Will and Charlie got to see where the villagers’ food came from and how hard it was to get clean water. Knowing we had bottles upon bottles of clean water in our truck started to weigh on Will and he began to offer food and drinks to everyone we encountered. The biggest change came that night at dinner as we sat down to a feast of curried skin-on and bone-in chicken. I worried that Will wouldn’t eat anything that was offered to him but watched in awe as he finished his whole meal. I stayed silent to see what would happen the next day. Just like that, Will began to eat. And eat. And eat. I was particularly proud when, near the end of the tour, Will scarfed down a dish of boiled spicy cabbage while the cook warmed me up some meatballs from the night before as I couldn’t stomach the heat. Will ignored the milder “kid options” that were offered and tried everything our chef Isa offered him. 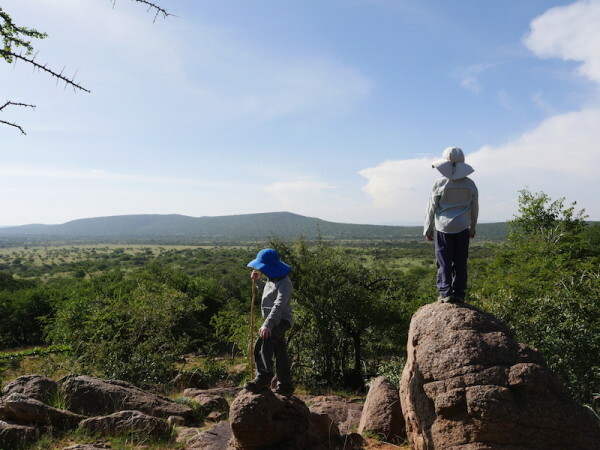 As the days rolled on and we continued to explore Kenya, both my kids continued to blow my mind. On a particularly hot day, Will politely asked the driver if we could stop on the highway when he saw two young boys working in the sun. We all got off the bus to meet them and Will suggested we grab a soccer ball to play with them. 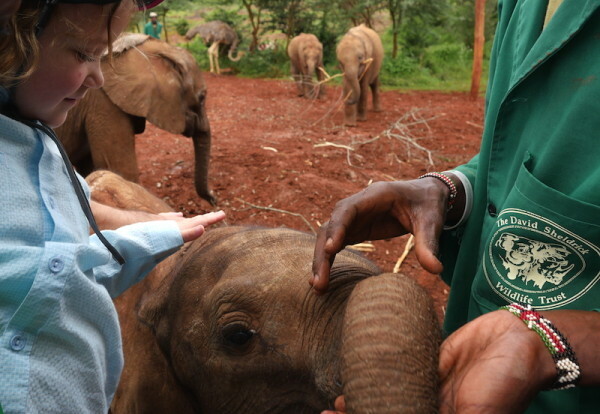 Just like that we had made two new friends in Kenya who I would estimate to be between 5 and 8. Both boys were equipped with a single stick each to protect an entire herd of cattle. After we embarked back on the bus, I noticed a few tears rolling down Will’s face as we drove away. The reality of Africa hit the kids hard but in a good way. We had the trip of a lifetime and I remember thinking one night that we had likely hit our travel peak. I decided that trips from now on will be different than our Kenya safari instead of being too concerned about them being better. We have never really made memories quite like this and I am so glad we had the chance. We took time to tell each other stories, play cards, and most importantly get to know our hosts from Intrepid Travel. Our driver and chef were both parents who had incredible stories about their kids and growing up in Kenya to share with us. Each night at dinner, we traded tales of our regular lives and they told us all about family life in Africa. Will and Charlie begged to meet their children and I hope one day soon we will be able to return to Kenya to do so. Other incredible moments included visiting schools in Kenya and meeting the children who lived in a Maasai Widowers’ Village. 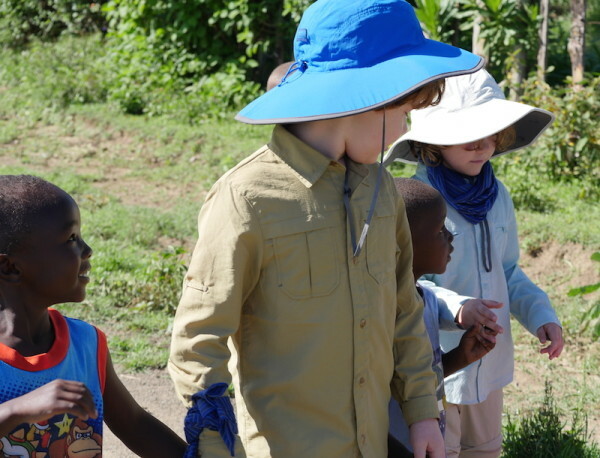 Although the language barrier between the kids was significant, Will and Charlie both immediately headed out to play in the fields and learn how to throw sticks and use shields. I was particularly touched by a little girl who wouldn’t leave my side and wanted to play with my Panasonic GX8 camera. We sat together in a field as she took pictures and I showed her what she was capturing on the screen. The look of pure joy on her face makes me smile every time I think back to that moment. What didn’t happen in Kenya was what everyone warned us about. The roads weren’t too hard on the children. We never felt threatened or at risk. No one got bit by bugs. The kids were never bored. 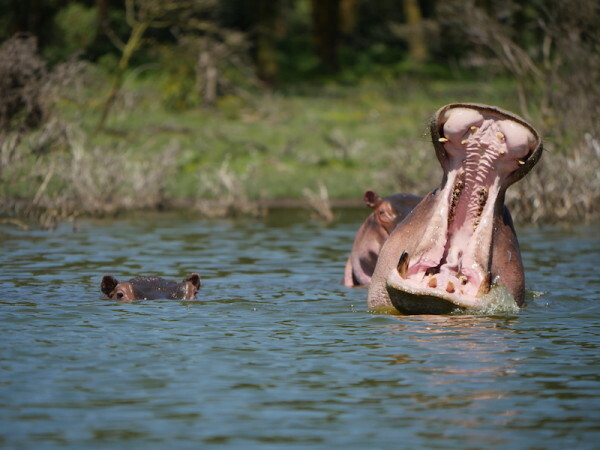 Not to say there weren’t a few OMG moments as I was sure we were close to being consumed by a hippo at one point and was slightly afraid of a monkey who decided to smash our left out wine glasses and bottle of wine at one campground. Now that we have been home a month, I am not overly surprised that Kenya impacted my kids as much as it did me. What my kids learned in Kenya is clearly demonstrated each day. Not since our first dinner in Kenya has either child complained about a food offering. Instead, they are overly complimentary of my subpar cooking. Will doesn’t go to bed without taking the time to thank me for feeding him that day and Charlie hasn’t forgotten about the children without water. The changes are most evident to me when we go out. Just yesterday, both kids came shopping with me and looked around for more than 20 minutes before I said it was time to go. They both emerged from the toy aisles empty handed with smiles on their faces. No one asked for anything. The few times they have asked to purchase something since Africa its been to send to the kids they met in Kenya or to give to kids here in Toronto who don’t have as much as they do. Will these changes last forever? I can’t be sure but in my heart, I believe the impact of what my kids learned in Kenya will continue to shape them for years. 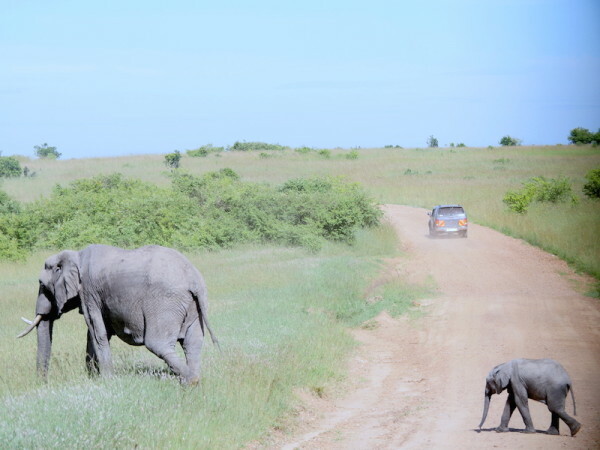 Want to try an African safari with your kids? Here are the first steps to planning one. This post is incredible. The photos, the destinations, and the love and caring and joy with which you share the trip brought your children’s eyes. I loved it. Thank you for sharing. What a beautiful post. 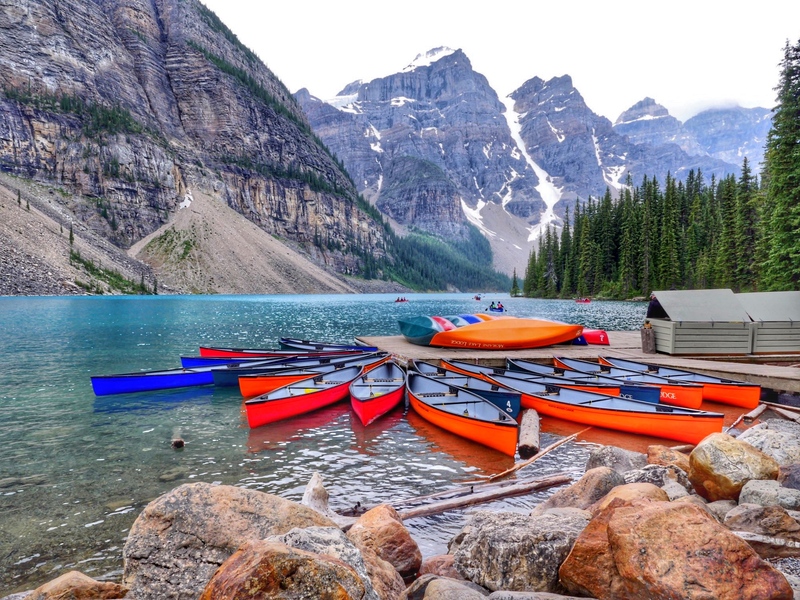 Travel is in itself an education and your experience proves it. Thank you for sharing. What a beautiful post. That video choked me up. What an experience for your kids! Love this, Sarah… I’m sure your big hearted kids had an impact on the people you met too. What a wonderful experience you have your kids. I have a question in your travels what was some things the kids could use or would like to have? I fill shoe boxes for kids an I was just curious of what people who travel over seas sees first hand what they would enjoy having in a shoebox. We brought crayons but found that most of the school had loads of them and the kids really no access to paper etc at home. We found the biggest hit was balloons which I had packed as an afterthought. Anything inflatable like a beach ball would probably be a big hit. The kids asked a lot for candy which we didn’t have. Now having been there I would send more medical stuff like kids travel toothbrush packs with toothpaste. I have got a very picky eater (he actually has been diagnosed with an eating disorder for his PHOBIA of fruits and vegetables). Maybe I need to bring him to Africa to get him to eat new foods?! Wow! That may be a whole other level but you would at least have a great trip! Thanks for sharing you and your kids’ experiences. We all wish more families could have a chance to travel like this and share the cultures from the source. You have given your kids an experience which will shape their lives and priorities forever. You truly had a fulfilling trip to Kenya. Thank you for sharing about our beautiful country and how positively your kids were impacted. Thanks for sharing! I recently won a trip through Intrepid travel to go to Kenya, Uganda and Rwanda. Reading your blog got me even more excited 🙂 I want bring things for the children and adults so any suggestions for small, useful items would be great. I know it said not to give candy for some reason. I will start saving any beachballs and frisbees my daughter gets at events as she doesn’t need anymore lol and I think the kids there would like them as you mentioned. I would love to hear what you packed for clothing, food etc and what you brought that you didn’t need and what you could used and didn’t bring. I can’t wait to go to the Elephant Sanctuary and the giraffe one while in Nairobi…are there any other places I should see while I am in Nairobi before we head off on our trek? I wish I could take my daughter to see Africa too, what an amazing experience for your family!! Hi Sheila! Congrats!!! What a prize! The candy thing is due to lack of dental care and health reasons. For packing, I actually have a complete safari packing list here. We found we needed extra bug spray and didn’t bring enough. As for before your trek, we stayed at Hemingways and if you can swing it, its a beautiful hotel. Feel free to email me with any questions at sarah@solomomtakesflight.com. We had a similar experience. 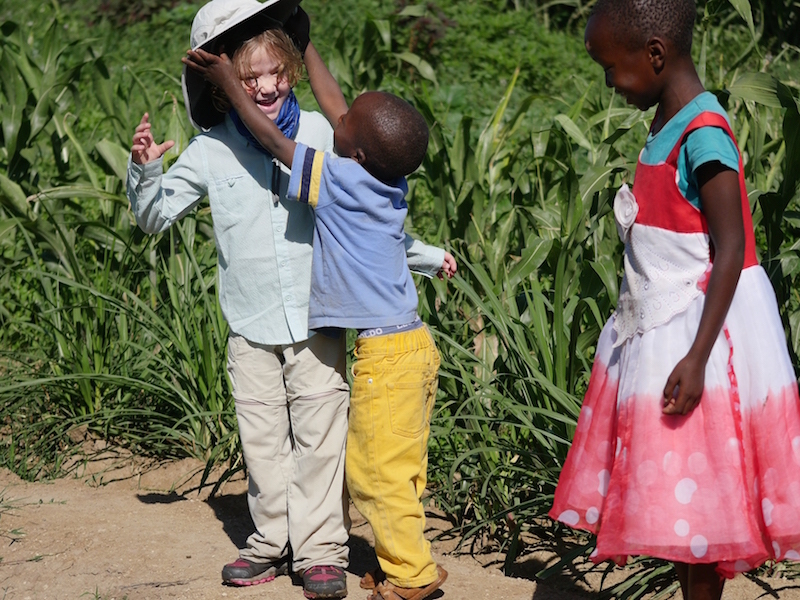 Our girls were 5 & 8 when we visited Kenya and they had a great time. They loved the David Sheldrick Wildlife Trust, the Giraffe Center, the Rift Valley and chilling on the beach south of Mombasa (which was empty because of a bombing that happened in Mombasa several months earlier). We took the trains, buses and matatus and felt safe, even when the bus broke down on the side of the highway for over 5 hours. I, too, can’t wait to go back.